In writing, when an author chooses not to finish a sentence, but instead to continue with additional thoughts, a semi-colon is utilized. Literature's way of finishing a sentence with another sentence. Project SemiColon is a survivor's story and foundation started in 2013 by Amy Bleuel which embraces much of the same philosophies and choices of Survivor Jewelry. It is vital to every person facing trauma, crisis, and illness to embrace that their story is not yet complete. To understand we are each healing, surviving, enduring, and making the choice, despite our adversities, to survive. We, at Survivor Jewelry, embrace all people and recommend any inspiration which helps others survive. Reach for help wherever you can find it and search until you find the right fit for you. Remember, we all have a story to share and, with a belief in ourselves, we have yet to write the final chapter. Our stories are not over. Our voices will be heard. 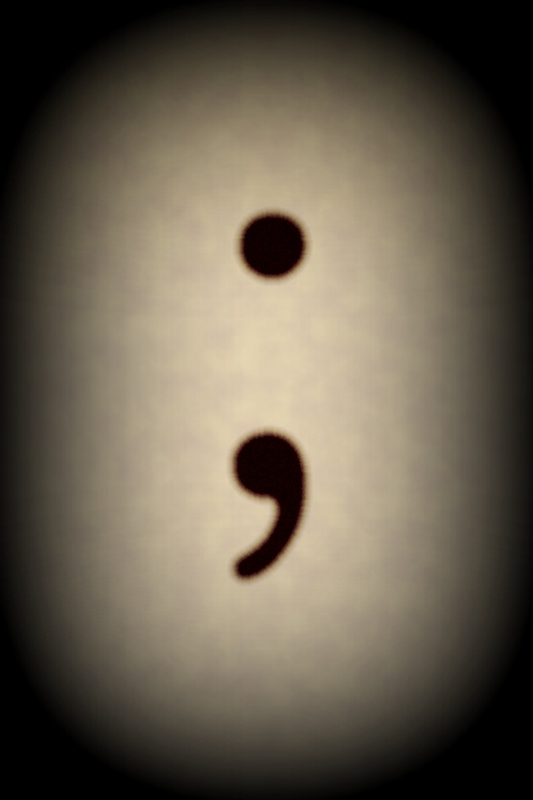 Create your own semi-colons and continue to breathe brave.